Shipping Policies | TheCoop - The Harvard / MIT Coop Store. *Orders received after 4:00 p.m. EST will be processed the next business day. Orders placed on Friday prior to 4 p.m. for next day air will be delivered the following Monday. Orders placed on Saturday or Sunday will be processed on Monday. These rates do not apply to shipments to AK, HI, PR or CANADA. Separate rates from these destinations will be determined and customers will be notified. The COOP will attempt to send all items in a single package. However, some items are drop shipped from the manufacturer. All International Shipments are shipped by air parcel post unless otherwise directed. The cost of international shipping will be calculated at checkout based on the destination. Note that certain items shipped directly from the vendor (drop shipments) may require additional shipping charges. If additional shipping charges apply, we will contact you to approve these charges prior to shipping your order. International orders may be subject to the customs fees and import duties of the country to which your order ships. These fees are always the recipient's responsibility and are not included in shipping charges. Please contact the applicable customs office for details. You will receive by email a tracking number. You may also log in and access your account, where you can view past and present orders, and view your tracking information. If you have additional questions, please fill out a contact form at Contact Us or call our toll free phone number 1-800-368-1882 within the continental U.S. While The COOP cannot guarantee the security of your internet transactions, we have designed the online order process so that it takes place in an environment of high security. 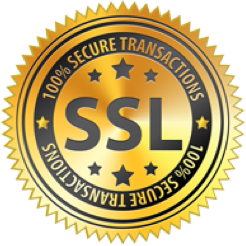 All ordering information is protected by communicating through Secure Sockets Layer (SSL), the standard in internet security. If any unauthorized use of your credit card occurs, simply notify your credit card company in accordance with its reporting rules and procedures. The COOP will not be held responsible for fraudulent credit card use. If you don't find your concerns addressed here, feel free to contact us by e-mail or phone 1-800-368-1882 within the continental U.S.